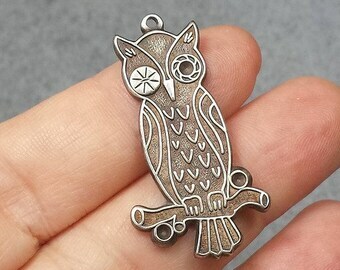 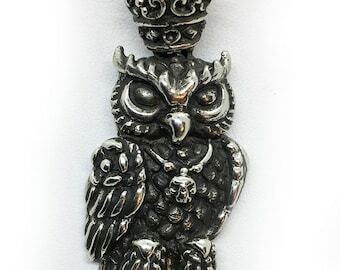 1 black and silver 27 mm OWL charm (6132). 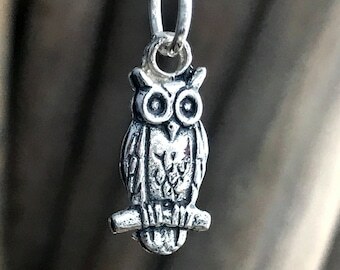 1 blue and silver 27 mm OWL charm (6135). 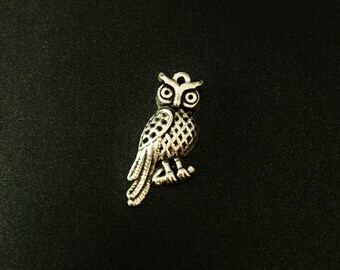 Sterling owl pendant with diamond settings in black zirconium necklace. 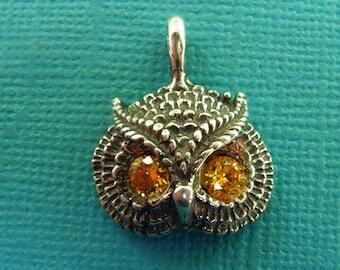 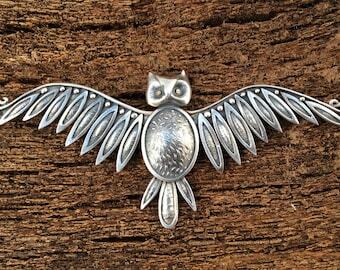 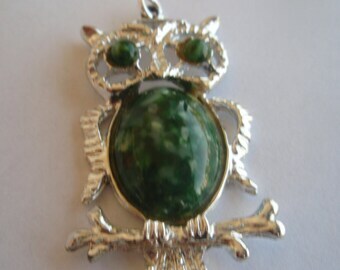 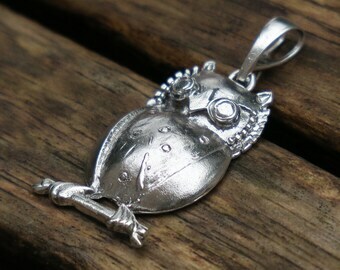 Silver owl pendant. 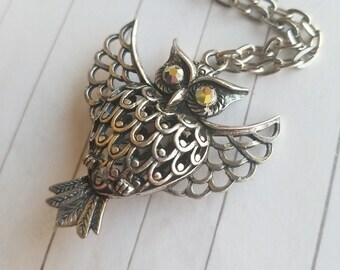 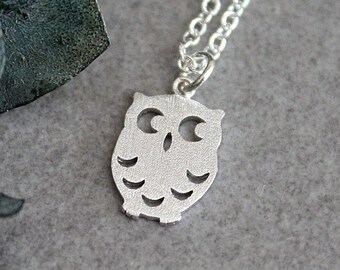 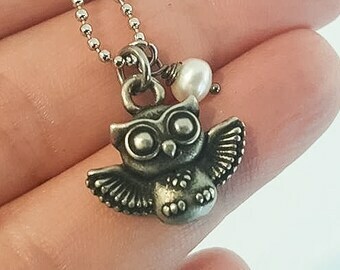 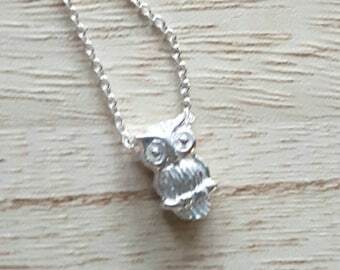 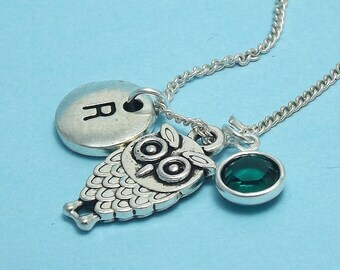 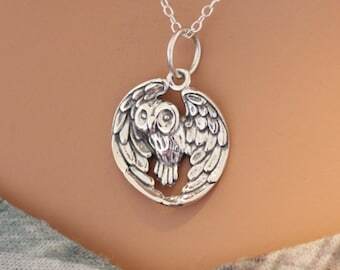 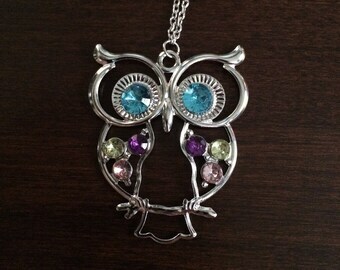 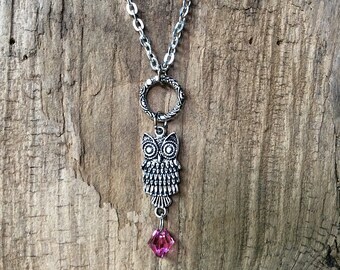 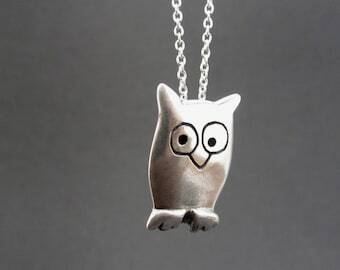 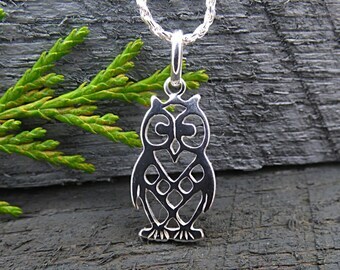 Sterling silver owl necklace. 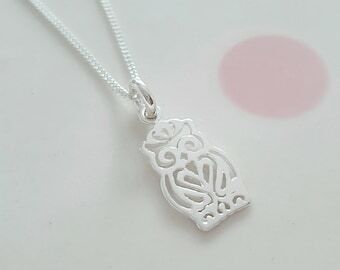 Zirconium pendant.